Chicago Ald. Ameya Pawar (47th). Pawar announced Thursday that he is withdrawing from the Illinois gubernatorial race. Chicago Ald. 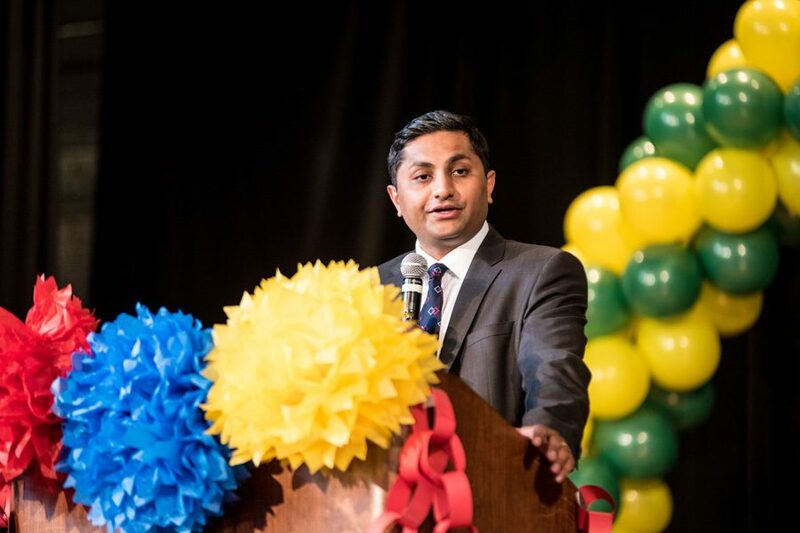 Ameya Pawar (47th) announced in a statement Thursday that he is dropping his bid for Illinois governor due to a lack of funds. Pawar’s campaign platform rested on recommitting to early childhood education and public schools without burdening the middle class, rebuilding infrastructure and reinvesting in “good-paying” jobs. Overall, the campaign had raised $828,000, but it still wasn’t enough, Pawar said in the statement. Although Pawar’s race for governor is ending, he also announced in the statement that he is launching a political action committee called One Illinois. The group will work to organize youth around progressive issues and “fight … divides around race, class, and geography,” he said. State Sen. Daniel Biss (D-Evanston), a Democratic gubernatorial candidate, congratulated Pawar on an “incredible” campaign in a Thursday Facebook post. Biss said Pawar’s campaign increased awareness of the effects of systemic inequality on working-class families. J.B. Pritzker, another Democratic gubernatorial candidate, also released a statement Thursday addressing the conclusion of Pawar’s campaign. Pritzker said Pawar made the race a “real conversation” about issues affecting Illinois citizens. He said Pawar focused on “how we can lift up” communities across the state.